corner straps that keep the entire load secure. These straps also serve as a solution to any potential of "skirting." 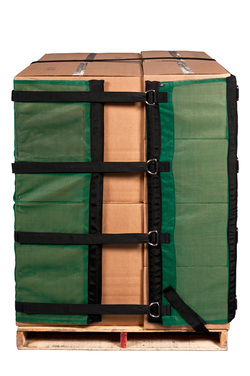 Straps are made of Hook & Loop belts and are approximately 2 two feet in length. 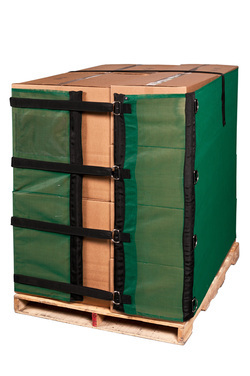 Please order a sample of our Pallet Wrapz. Quantity discounts available. 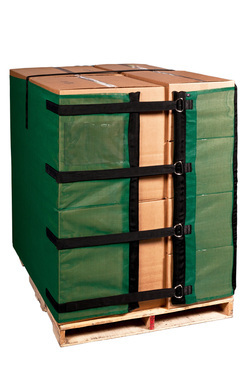 Remember, this is a Reusable Shipping and Storage System. For Quantity Discounts, please contact us today. Taking approximately 45 seconds to install and 15 seconds to remove. It is more ergonomically friendly application as well. Pallet Wrapz are fabricated out of a heavy duty weather proof mesh material that allows better air flow than stretch film to help reduce spoilage. 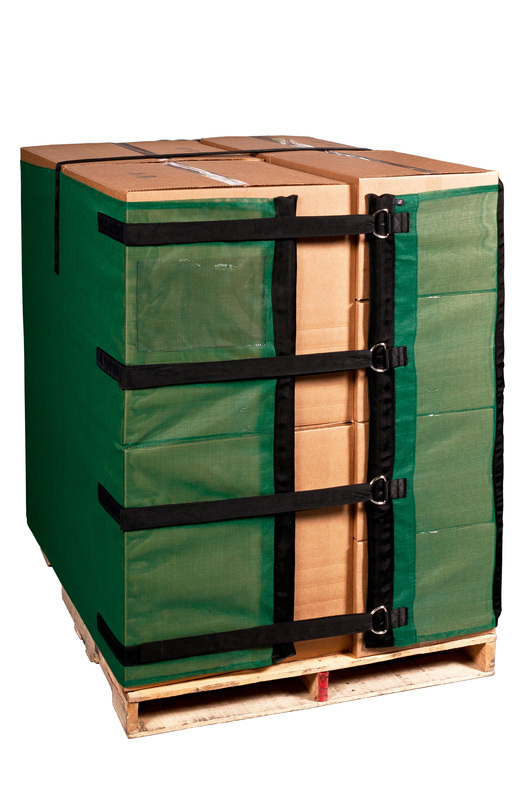 If you happen to use our stretch film calculator to justify a stretch wrap alternative for or an alternative to stretch film for pallets you may need to consider the storage bags and consider the peripheral needs of your operation. We have professional consultants that can help you calculate you’re ROI.